Indulge your epicurian senses in Kwee Zeen, the hotel's signature restaurant. Rejuvinate yourself at So Spa with lavish L'Occitane products and personal care. 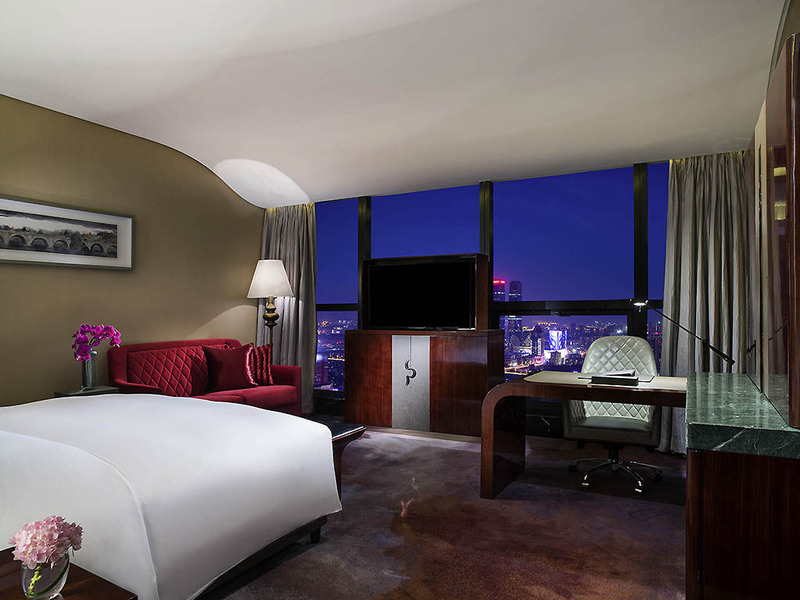 Relax in luxury and enjoy sweeping panoramas over the city from Kunming's tallest hotel. Each Sofitel is a unique blend of the French art de vivre and local refinement. 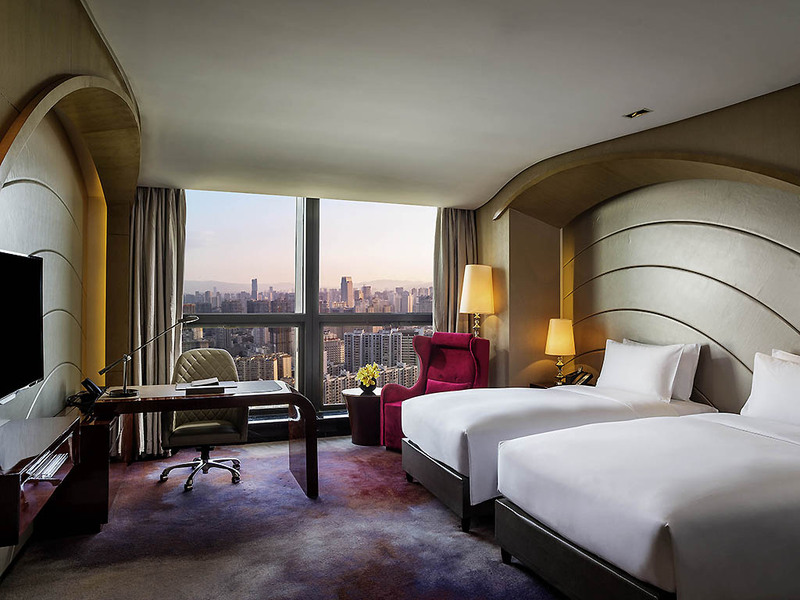 Sofitel Kunming lies at the heart of Kunming's business district and expresses an elegant mélange of contemporary design with Yunnan's own cultural accents. Delight in personalized service that caters to your every need, since style is nothing without substance. 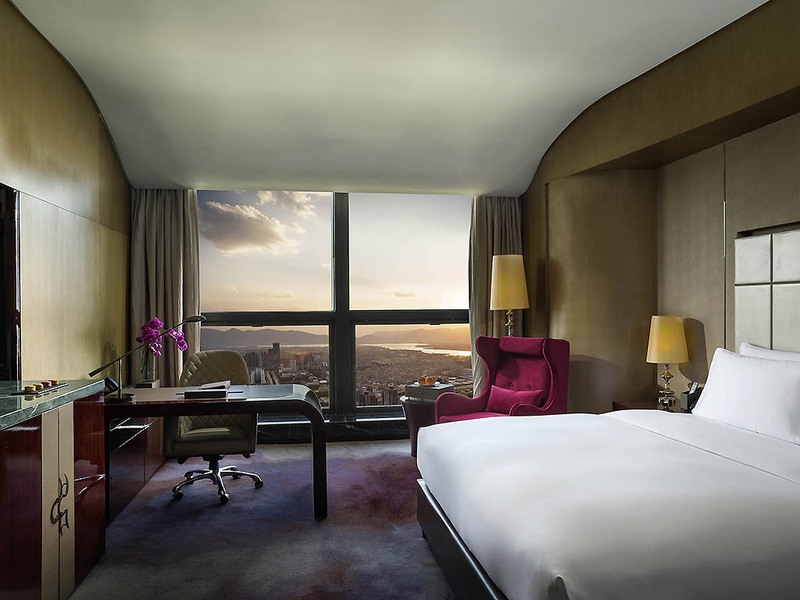 Sofitel Kunming maintains the highest quality of service, assuring you that your needs and expectations are met for the duration of your stay. Blending French elegance with local traditions of culture and hospitality, Sofitel Kunming presents you with the perfect cocktail of Yunnan culture with a dash of European sophistication. 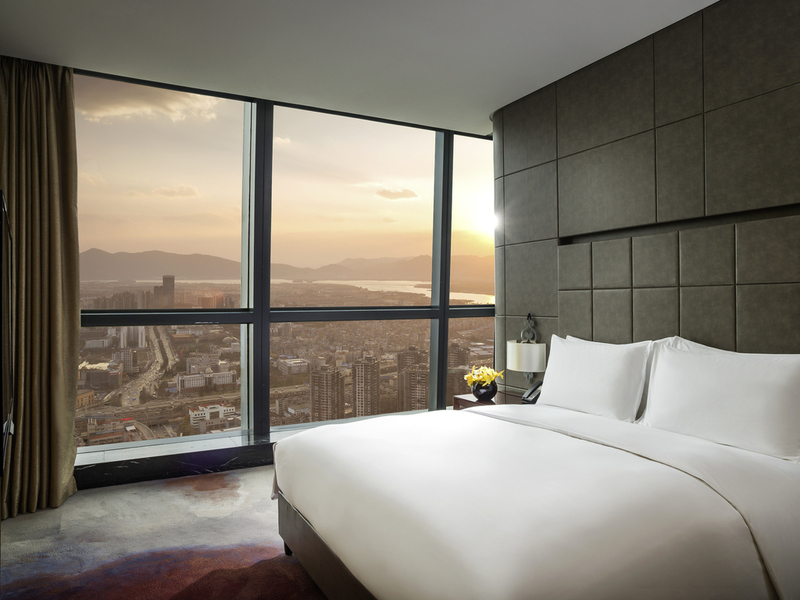 Sofitel Kunming is only 30 minutes away by car from Kunming Changshui International Airport and Dianchi Exhibition Center, with Kunming South Railway Station a mere 10 minutes from the hotel. To get to the hotel, get on 2nd ring road and exit at South Huancheng Road, the hotel will be on your left. 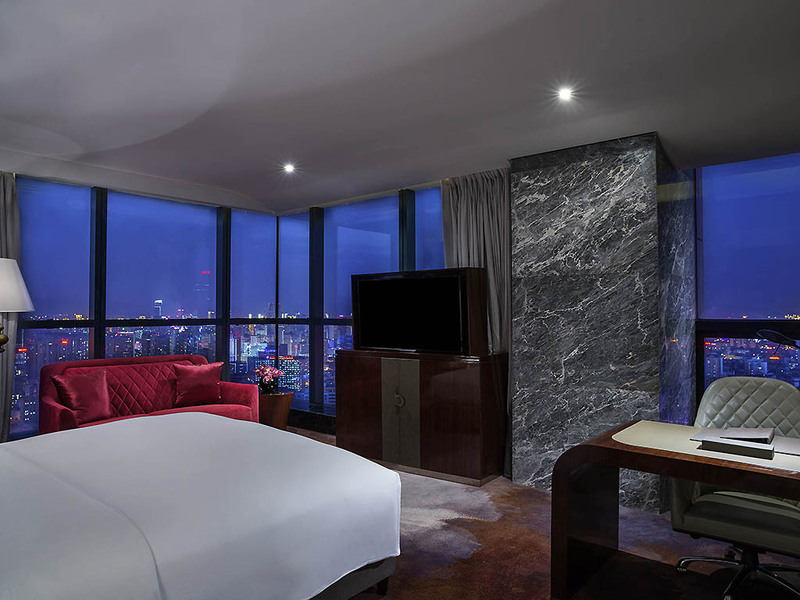 45 m2, 484 sqf Room, level 27 to 39, free high speed Internet, HDTV with international channels and HD movies, Bose music system, MyBed, floor to ceiling windows and magnificent view of Kunming's landmarks. 42 m²/452 sqf Room, level 27 to 39, free high speed Internet, HDTV with international channels and HD movies, Bose music system, MyBed, floor to ceiling windows and magnificent view of Kunming's landmarks. 53 m²/570 sqf Room, level 27 to 39, free high speed Internet, HDTV with international channels and HD movies, Bose music system, MyBed, 90-degree floor to ceiling windows and panoramic views of the skyline. 45 m²/484 sq. ft. Room, level 40 to 46, L'Occitane bathroom amenities, free high-speed Internet, HDTV with International channels and HD movies, Bose music system, MyBed, floor to ceiling windows and magnificent view of Kunming's landmarks. 42 m²/452 sq. ft. Room, level 40 to 44, L'Occitane bathroom amenities, free high-speed Internet, HDTV with International channels and HD movies, Bose music system, MyBed, floor to ceiling windows and magnificent view of Kunming's landmarks. 54 m² / 581 sq.ft. Room, level 40 to 48, L'Occitane bathroom amenities, free high-speed Internet, HDTV with international channels and HD movies, Bose music system, MyBed, 90-degree floor to ceiling windows. 85 m²/914 sq.ft. Room, level 27 to 46, separate working and living room area, L'Occitane bathroom amenities, free high-speed Internet, HDTV with International channels and HD movies, Bose music system, MyBed, floor to ceiling windows. 67 m²/722 sq. ft. Room, 48" TV, Free Mini Bar, Complimentary WIFI, Sofitel MyBed, Bathtub & Shower, L'Occitane bath amenities, 1 extra bed available upon request. Sofitel Kunming moves to your rhythm. Enjoy our room service with a soiree of international dishes available round the clock in the luxury and privacy of your own room. Sample Chinese, French and international classics at Kwee Zeen with views over Kunming. Savor Chinese cuisine at Le Chinois and sample authentic Yunnan, Cantonese and Sichuan dishes. Discover nearby Dianchi Lake and Xishan Mountain. Explore the Yunnan Ethnic Minorities' Village and Stone Forest. Let us arrange the ticket of Yunnan Impression for you before you arrive. Invite some ease into your life with our tailored chauffeur and limousine service, so you can enjoy the city at your pace. 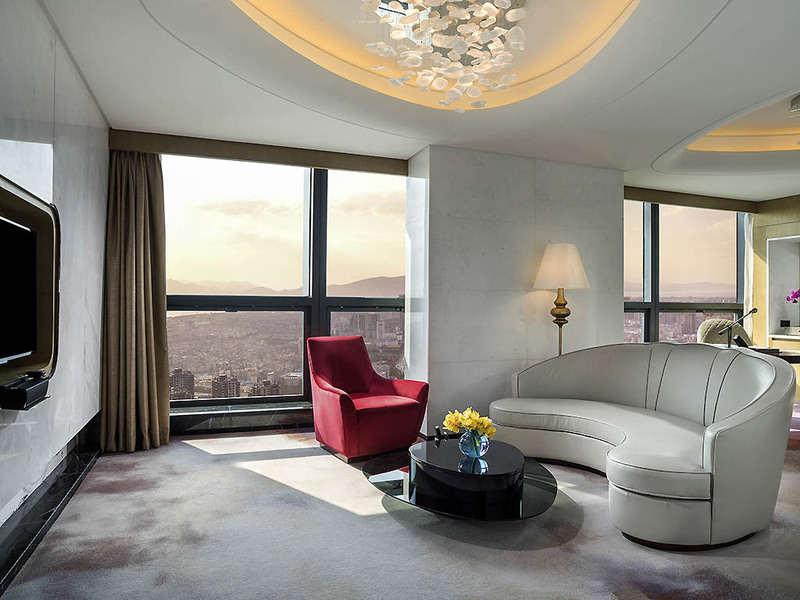 Luxury goes beyond your stay at Sofitel Kunming. Treat yourself to a luxurious dip in the heated indoor pool at Sofitel Kunming. Enjoy a few peaceful laps while the little ones have fun swimming around a dedicated kids pool.